As a Passenger, You Too Have Rights if You Have Been Injured in an Accident. Learn About Them Here. What Are My Rights as a Passenger in an Accident? In automobile accident cases, passengers have rights as well as the driver. In fact, the injured passenger may have rights where the driver has none. For instance, suppose the car is driving down the street when it collides with another vehicle. Let’s say that both drivers were at fault. The driver of the car you were riding in may be limited as to how much money he or she can recover based upon the amount of his or her own carelessness. For example, if the driver of your car was 50 percent responsible for the accident, then his or her recovery is cut in half. Unlike the driver, as a passenger you were not at fault and are therefore entitled to recover the full amount of your damages. You may sue the other driver, the driver of the car you were riding in, or both. The right to sue both drivers (really, his or her insurance company) is especially important when you have suffered severe injuries that result in damages that are higher than the insurance policy limits of each driver. In such a situation, you could sue both drivers and get full compensation for your damages, or at least the maximum allowed under both insurance policies. There is one caveat to the statemnet above. Let’s say that you’ve been to a party and the friend who drove you there gets drunk. Before you step into the car for the ride home, you know your friend is under the influence of alcohol or drugs, but having no other way to get home, you get into the car. On the way home, the inebriated driver runs off the road and hits a light standard or telephone pole, causing injury to you. You decide to seek compensation from your friend’s insurance company for your medical bills, lost wages, pain and suffering, and other damages, but the insurance company denies your claim, saying you knew the driver was intoxicated before you got into the car, and therefore you assumed the risk that he or she would get into an accident and that you would be injured. In California, the legal doctrine of comparative fault or comparative negligence applies. Suppose the total amount of your damages was $100,000, but you were 40% responsible for getting into a car being driven by an impaired driver. In that case, the amount you could recover from the driver’s insurance policy would be reduced by 40%, so instead of getting $100,000, you would recover $60,000.00. 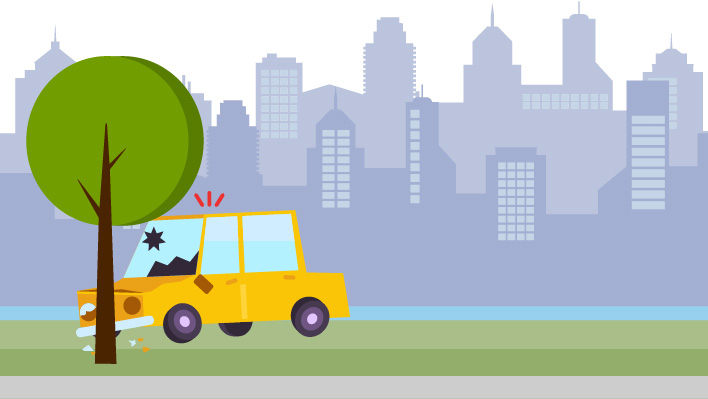 If the accident was a single-vehicle crash that resulted from the driver’s negligence, such as speeding and losing control of the car, resulting in its crashing into another vehicle or running off the road and into a tree, you the passenger may have the right to sue the driver (such as medical expenses, lost wages, and pain and suffering) of the car. The driver of a motor vehicle owes his or her passengers the obligation (“duty”) to use reasonable care in the operation of the vehicle, and is legally responsible (“liable”) for the injured passenger’s damages. You may be hesitant to sue the driver of the car because he or she is a friend. However, you are really going after the insurance company. The driver or operator of a motor vehicle, watercraft, or airplane (or any other type of transportation or recreation) has the obligation to drive carefully and safely not only to prevent hitting other vehicles, but also to prevent injury to his or her passengers. This is known as the duty of due care. If the driver or operator fails to use due care for his or her passengers safety, resulting in the passenger being injured or killed, the passenger or the passenger’s heirs in the case of a passenger who has been killed has the right to payment from the driver or operator for all of the damages resulting from their injuries or loss. If you are passenger in a vehicle, watercraft, or private airplane that gets into an accident, whether it is the fault of the driver or another car, there are certain things you should do. 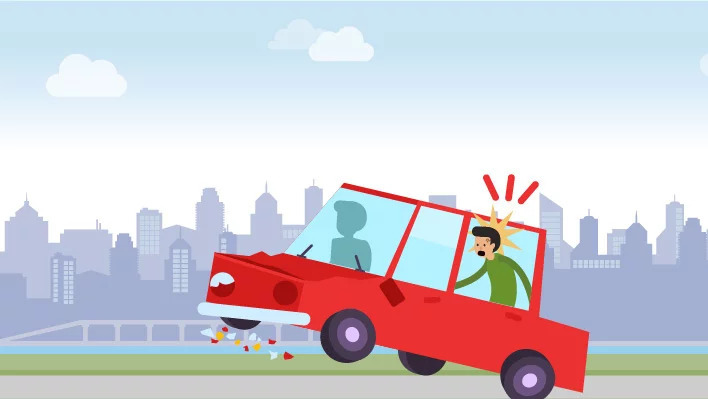 If another vehicle was involved in the accident, you should make sure that your friend or the police get all of the other driver’s information, such as name, address, home and work telephone numbers, name, address and telephone of his or her insurance agent. To prevent the other driver from lying, you should make sure that the person gathering the information asks to see his or her driver’s license and proof of insurance card, and also writes down the license plate number of the vehicle. If you or a loved one were a passenger in a vehicle involved in a collision – especially if the injuries are serious or a death is involved – it is imperative that you contact an experienced personal injury lawyer immediately. Do not talk with an insurance company investigator or adjuster before you have had the chance to retain a lawyer. The lawyer will often advise you against giving a statement to the insurance company’s adjuster, as they are trained to trick you into saying things that will come back to haunt you at a later stage of the case. You should also make sure that the person gathering the information asks to see the current registration for the vehicle in case the driver or operator is not the owner of the vehicle. If the registered owner is different than the driver, write down the registered owner’s name and address. Ask the driver if he or she knows the telephone number of the registered owner. The registered owner of a car can be liable under California’s permissive user car for letting someone else drive his car. The registered owner may be independently liable for your injuries if he or she lent the car to a known poor driver or someone he or she knew was under the influence of alcohol or drugs. What if the accident was relatively minor; should you still call the police? Except in the most minor of cases, it is always a good idea to call the police to the scene. Even if the police officer does not make an official report of the accident, he or she can get the information from the parties and identification and contact information for witnesses. What if the Driver of the Car I Was a Passenger in, Says They Will Pay For My Injuries? Suppose your friend tells you that he or she will pay for your injuries and not to report the claim to his or her insurance company because he or she doesn’t want his insurance rates to go up. Should you agree to do so? There is usually one of two reasons a driver may not want to go through his or her insurance company. One is that he or she truly doesn’t want his or her insurance premiums to go up after a minor accident. But many insurance companies now offer a first accident free policy in which a driver’s insurance premiums will not go up after his or her first accident. The second main reason a driver doesn’t want to call the police or get the insurance company involved is because he or she doesn’t have any insurance. And even if your friend does have insurance and honestly intends to pay all of your medical expenses and lost wages stemming from the accident, he or she may change his or her mind or be unable to pay the high costs of medical care for even relatively minor injuries and your time off work. What if You Don’t Know Who Is at Fault? What if you’re a passenger in a car that gets into an accident, and each driver blames the other as being the cause of it? Car accident cases in which both parties were at fault can get complicated, as the other driver’s insurance company will try to place all or most of the blame for the accident on the driver of the car you were in. It is critical that you be represented by an experienced personal injury lawyer in situations such as this, especially if your injuries are serious. Perhaps both drivers were fault, in which case you may be able to recover damages from both of them. (Of course, you can’t get paid twice for the same thing.) But if one driver’s insurance isn’t sufficient to cover all of your medical bills, lost wages, and other damages, the other driver’s insurance company may be on the hook, so that you are fairly and fully compensated for all of your damages. Suppose that, at the scene of the accident, you tell the driver, police officer, and others that you aren’t hurt. But several days after the accident, you wake up with a severely sore and stiff neck, back, and injuries. Could this be due to the accident? Yes. It is not at all unusual for injuries from a traffic accident to show up several days, even weeks, after the accident. You should immediately make an appointment with your physician for evaluation. Your primary care physician may prescribe muscle relaxants and painkillers, and/or refer you for physical therapy. Additionally, you may wish to call an experienced personal injury lawyer, who often may be able to steer you to a physician who specializes in this type of injury. Besides the physical injuries you may suffer due to the carelessness of your friend while driving or operating a motor vehicle or watercraft, you may suffer severe psychological injuries. 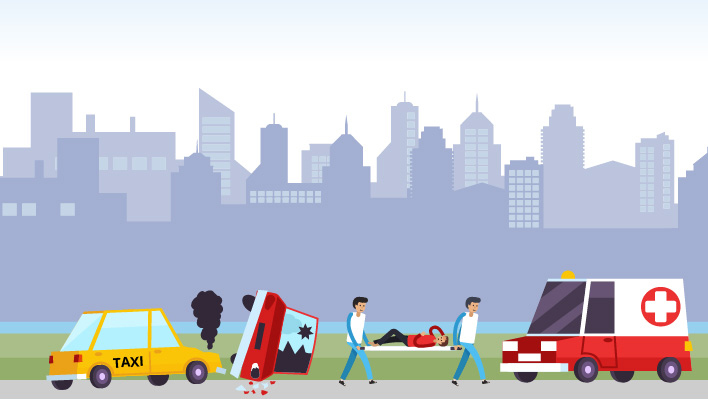 After a person has been in a traffic accident, it is not at all unusual for him or her to be apprehensive about driving or riding as a passenger for a while. If the accident was relatively minor, those fears usually go away in a couple of months. But it is not at all uncommon for a victim who has been injured in an accident to suffer severe psychiatric or psychological injuries, even though his or her physical injuries were minor. But even a passenger who escapes physical injury in a crash may develop serious psychological injuries because of it. If you have been injured or a loved one killed while a passenger in a motor vehicle, watercraft, aircraft, or other means of private transportation or recreation, you should contact an experienced personal injury law firm as soon as possible. It is important to contact an experienced personal injury law firm promptly after the accident, as the law firm may want to send its own investigator to the scene of the accident to inspect and take pictures of the accident site and any dangerous condition that caused or contributed to the accident, especially before anyone or the passage of time changes the condition. The attorney or his or her investigator will also want to talk to any witnesses to the accident while the facts are still fresh in their minds. It is also important to contact a personal injury attorney as soon as possible, as the other party’s insurance company will assign an adjuster to the case as soon as the incident is report to it. An insurance adjuster is employed by the insurance company, and his or her only concern is settling a claim as quickly and cheaply as possible. You should know, however, that studies consistently show that accident victims who are represented by a competent and experienced personal injury law firm end up with significantly more money in their pockets even after the lawyer’s fees have been paid, than do accident victims who are not represented by a lawyer and try to handle their own claims. The insurance adjuster will most likely want to take your statement as soon as possible. Do not give the adjuster a statement until you have talked with and preferably retained an experienced personal injury lawyer. The adjuster is trained to ask questions that are biased in favor of the insurance company and designed to trip you up. You should never give a statement to an insurance company adjuster or other representative without the consent and presence of your attorney. An experienced personal injury law firm can also help with seeing to it that you obtain appropriate and thorough medical care for your physical, emotional, and psychological injuries suffered as a result of the accident. They can also do everything possible to ensure that you obtain full compensation for your medical expenses, pain and suffering, mental anguish, property damage, lost wages, and all of your other injuries and damages. A personal injury law firm works on a contingent fee basis. This means that the lawyer does not get paid unless and until you get a settlement or verdict in your favor. If you or a loved one has been seriously injured or killed in a car crash while you were riding as a passenger, contact an experienced personal injury lawyer immediately so he or she can start working right away to obtain all the monetary compensation you are entitled to.